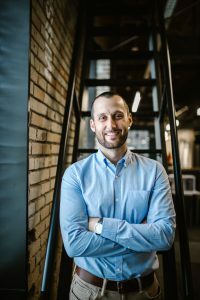 Bryce Evans is the vice president of content and events at 10 Missions Media, overseeing the company’s three national business publications, FenderBender, Rachet+Wrench and FIXED, as well as two live events and marketing department. What’s the top story you’re working on right now? Between our publications (all of which are in the automotive space), we focus heavily on a number of core topics—but one that cuts across all areas of the industry is the shortage of qualified, young workers entering the field. It’s not a secret that trades have struggled to recruit and retain millennials and, now, Gen-Z. We try to approach the topic from a number of different angles and provide our readers with strategies to overcome that in their own businesses. I first got hooked on journalism because of the impact that the field can have on people, and I’ve had the chance to write some really rewarding pieces. That said, I’m going with a much more selfish answer: I’d like to cover The Masters (pro golf’s first major every year). Everything about it has fascinated me since I was a little kid. I’d love to go, and covering it would give me a very unique, behind-the-scenes look. Describe the craziest or most fun story you’ve written. I once wrote a first-person feature story about learning to run a dog sled. It was a crazy and fun experience, and the instructor put me through the ringer on it. I loved it, despite the bumps and bruises (and hits to the ego) that came from flying off the sled on a (surprisingly) sharp turn. Pet peeve? I don’t have any; I love all PR people! (That’s the correct answer, right?) I will say, though, that I truly appreciate when someone reaches out to our organization and I can tell they have a sound understanding of what we do, the readers we reach, and our content model. What is the top trend you’re covering or interested in right now? Whoops—I semi-answered this one already. I will say, though, that the automotive industry is changing so rapidly that there are a lot of exciting topics to cover. From advanced vehicle technology to the digitization of the consumer experience, it’s all top-of-mind for our readers and it’s interesting for us to cover. My wife and I have four kids (two sons, two daughters) under the age of 8. We don’t get much sleep, but that’s part of the deal. Camping, skiing, golfing, plus all the kids’ sports and activities—we stay pretty active year-round, and there’s rarely a dull moment. … once wrote an entire 2,500-word cover feature on my phone during a plane ride.